Day 1. Meeting with guides and group in Vladimir train station ( 200 kilometers from Moscow). Transfer to Bogolyubovo by bus. 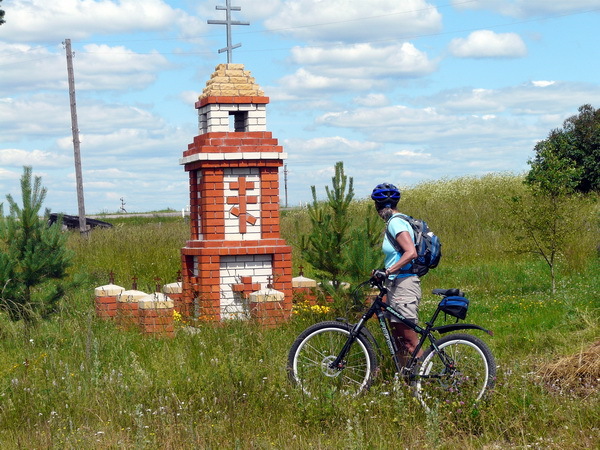 Start cycling to Pokrov-on-NerlChurch – site of the oldest church in Russia. Picnic-lunch. Bicycle ride to Suzdal, 30 km. Cycling through peaceful landscape of Russian villages and fields full with summer flowers. You choose your own cycling pace, and the bus is always at your disposal if you feel yourself tired. Overnight at one of the Guest House . Day 2. Suzdal sightseeing. Suzdal is a picturesque green town, where you can at the same time feel the Russian country life and enjoy walks around fairy tale dome convents. Inside Suzdal the atmosphere is as if nothing had changed since the nineteenth century, goats, chicken and cows graze freely next to the Kremlin and monasteries. The hilly green town, that looks more like a village, is very seducing, walking around is a pleasure, the monasteries offer dreaming views. Lunch in a restaurant. Cycling 34 km. Camping near the village Kameshkovo. Day 3. Cycling all day, 54 km. You will enjoy views. Lunch on the riverside. Overnight at camping, near SmekhrovskoyeLake . Day 4. After nutritious morning breakfast start cycling to Palekh – a small provincial town famous for its handicrafts – laquered miniatures. Lunch at the countryside. Overnight at Kovcheg Hotel. The is about 88 km, part of it we travel by bus. Day 5. Palekh sightseeing in the morning. The village of Palekh, for centuries has been renowned as the center of icon painting and handicrafts. You will have an opportunity today to visit the Museum of Lacquer Miniatures. Cycling 60 km. Lunch at the countryside. Transfer by bus to Plyos. Hotel “Fortezia-Rus”, on the Volga river. Dinner at hotel restaurant. Day 6. All day we travel by bus. Visiting art galleries, museums. Town of Plyos is famous for its picturesque landscape and was frequently visited by great russian painters. Transfer to Kostroma (68 km). Sightseeing tour to 16-century Ipatyevsky Monastery. Lunch in a restaurant. Transfer to Yaroslavl. Preceded by Viking sites such as Timerevo from the 8th or 9th centuries, the city is said to have been founded in 1010. In the 17th century it was Russia’s second largest city, and for a time, the country’s de facto capital. Overnight at Volzhskaya Zhemchuzhina Hotel. Day 7. Morning sightseeing, visiting Spaso-Preobrazhensky Monastery. Transfer to Uglich by bus, part of road will be covered by bycicle. Lunch at the countryside. Overnight at Hotel Moskva. Day 8. Town sightseeing. The little town of Uglich is particularly lovely seen from the VolgaRiver, with its red church of St. Dmitry on the Blood, the white Cathedral of Transfiguration set on the bank, and the several old bell towers peering over the trees. Uglich may be best known as the place where Ivan the Terrible’s youngest son, Dmitry, died of stab wounds in 1591, under suspicious circumstances. You will spend your morning visiting the town of Uglich. After touring, you will begin cycling to Rostov Velikiy. Lunch at the countryside. Today we visit Borisoglebsky Monastery. Overnight at guesthouse located inside ancient Rostov Kremlin. Dinner in the Kremlin. Day 9. Rostov Velikiy is one of Russia’s oldest towns founded on LakeNero in 862. The town is best knows for it s Kremlin and the art of bell ringing. The Kremlin took 30 years to build and used over twenty million bricks. You will spend your morning visiting the Kremlin. Transfer by bus to Pereyaslavl Zalessky. Overnight at Albitsky Sad Hotel. After checking in, you will take a short walk with the guide to visit Goretsky Monastery. The rest of the day will be free for rest and independent exploration. Day 10. Early transfer to Sergiev-Posad (70 km). Sightseeing, visiting Troitze-Sergieva (Trinity) Lavra. Lunch at some restaurant. Transfer to Moskow by local train. Please note that during your bicycle tour, you will have the same guide accompany you throughout the enitre program who will cycle with you. On most of the days you will be able to cycle for as long as you would like. The van will be no more than 5km ahead of you at any time and the guide will have a walkie talkie to keep in contact with the driver. You may discuss each cycling day with your guide to determine how long you would like to ride. Please note that if you choose to cycle on touring days, you may miss visiting certain sites due to lack of time. 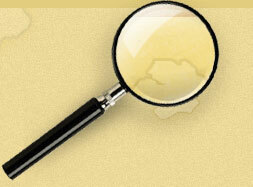 Camping equipment will be provided for you on days where you will be camping. Tour cost includes: all bus transfers as per itinerary, double and single accommodation as per itinerary with breakfast, , breakfasts, lunches and dinners at the countryside, all entrance fees, bicycle rent, camping equipment, expert leadership. Tour cost excludes: visa fee, fees for photo and video inside historical sites, lunches and dinners in restaurants, alcoholic and soft beverages, personal expenses.